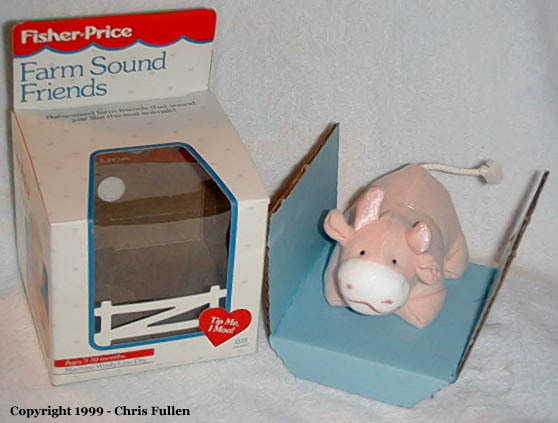 Description: This little cow has a soft stuffed body, a cute appearance, and he makes a realistic "moo-moo" sound when shaken or tipped. Cow is machine washable, but must be line dried. Designed for children ages 3 to 30 months old. 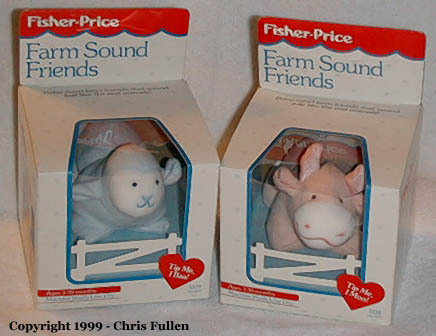 FPT14594 - Farm Sound Friends Cow - Small pink stuffed cow that makes a "moo-moo" sound when shaken or tipped. Cow has pink horns and ears, a white snout with a pink stitched mouth and nose, two small black eyes, and a long white rope tail. Measures 5-1/2" long, 3-1/2" wide, 4-1/4" tall.